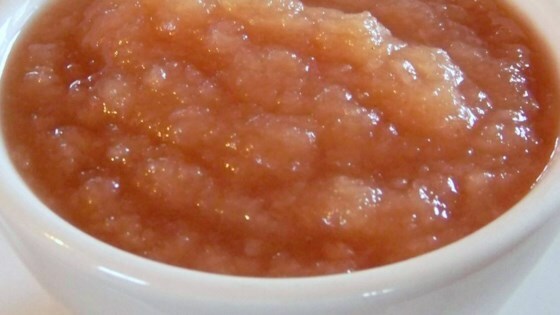 "This easy and delicious spiced applesauce slow cooks to perfection. My kids and I came up with this recipe one fall weekend. It's a family favorite." Combine the apples and water in a slow cooker; cook on Low for 6 to 8 hours. Stir in the brown sugar and pumpkin pie spice; continue cooking another 30 minutes.